This will be a series of comprehensive books on important aspects of pediatric surgical pathology, aimed at pediatric pathologists and general histopathologists with a substantial number of pediatric biopsies. These books will complement the previous manuals edited by us (Essential of Surgical Pediatric Pathology and Pediatric and Perinatal Autopsy Manual). Aimed at those who want and need a comprehensive description of common and rare conditions, this series will be the perfect complement to the manuals. Children's common conditions are different from adults' ones and even in diseases that are common to children and adults, the presentation can be very different. 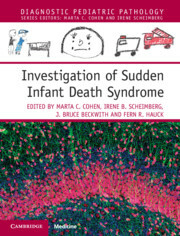 This series of books will provide pediatric and general pathologists with detailed descriptions of pediatric conditions (both macroscopic and histological), genetic information, prognosis, classification and grading systems, as well as consequences of treatment, at the same time as providing the reader with age related differential diagnosis.